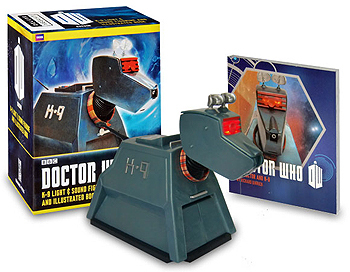 Kit includes a miniature figurine of K-9, the Doctor's trusty robotic canine, complete with audio of his catchphrase, "Affirmative, Master!" and light-up eyes. Also included is a 48-page book on Doctor Who and K-9, featuring full-color photos.